The Ski and Snowboard Show has always been the traditional curtain-raiser for the winter season since it began 42 years ago. 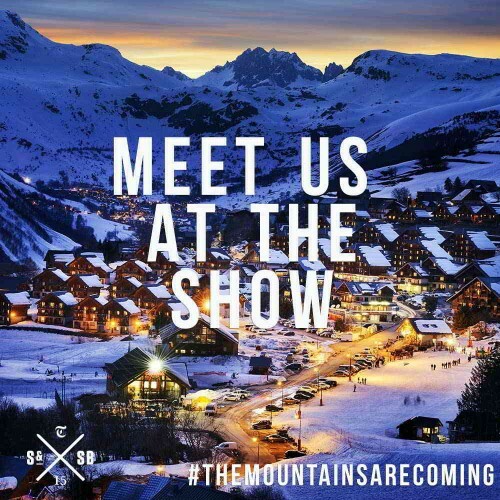 The show attracts prospective holidaymakers looking for their next destination, keen skiers and boarders looking for a bargain on some new kit and seasonnaires looking to meet up with their mates before the season kicks off. However, the show format has become a little tired over the past few years at Earl’s Court. A shake-up was needed and this year the organisers have come up with a brand new venue and an impressive line up of entertainment along with the hundreds of exhibitors. What’s new with the London Ski and Snowboard Show in 2015? New venue! The Battersea Evolution provides the organisers with an indoor/outdoor arena which means…. The welcome return of a real snow kicker complete with demonstrations and competitions featuring pro-skiers and pro-boarders. All new music events featuring a DJ set from Hot Chip and Norman Jay. The Altitude comedy festival are putting on a show in their own dedicated tent, including Marcus Brigstocke and other comic talent. The Alpenglow team! We will be there waiting to talk to you about your next ski destination, favourite resorts as well as a few more surprises thrown in too. Come and see us on stand number 500! The draw for our ticket giveaway has now closed. We hope the winners enjoy the show! The London show runs from the 5th of November through to the 8th November inclusive. Ski Show 2015 opening times.